Hello ... Hello ... my old friends ... It's great to see you once again! 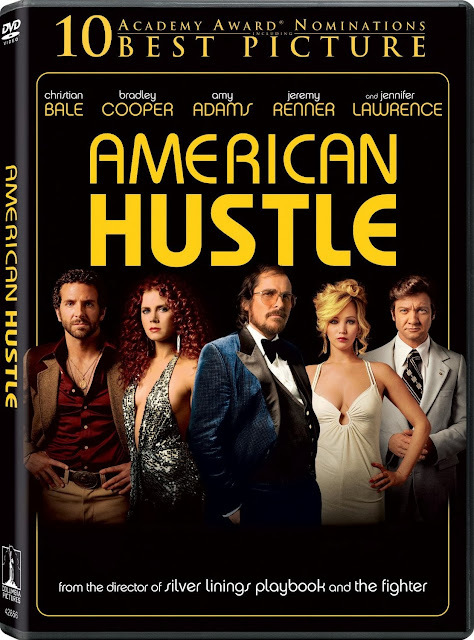 The Oscar nominated movie "American Hustle" will soon be released on DVD and Blu-Ray. The film, whose soundtrack includes the 2012 cover of "10538 Overture", "Long Black Road" by ELO [from the 2001 Japanese edition of "Zoom"] plus "Stream Of Stars" and possibly "Clair de Lune" by Jeff Lynne is the latest in a long line of OST collaborations by the ELO maestro. ELO Beatles Forever [ELOBF] recommends "American Hustle" to those enlightened folks who enjoy the music of ELO, Jeff Lynne, Roy Wood, The Move, The Idle Race, 'Brum Beat', The Beatles and related artistes. Sorry, but having unwittingly purchased the soundtrack (whose only external disclaimer is that "This package contains previously released material" - a no brainer as it takes place in the 70's!) I don't recommend it as "10538 Overture" is not the brilliant original by Jeff, Roy & Bev. It's a very mediocre Jeff from his 2012 attempt to re-work ELO's best hits solely in his lone image. Hang onto your money and your original ELO catalogues, folks!